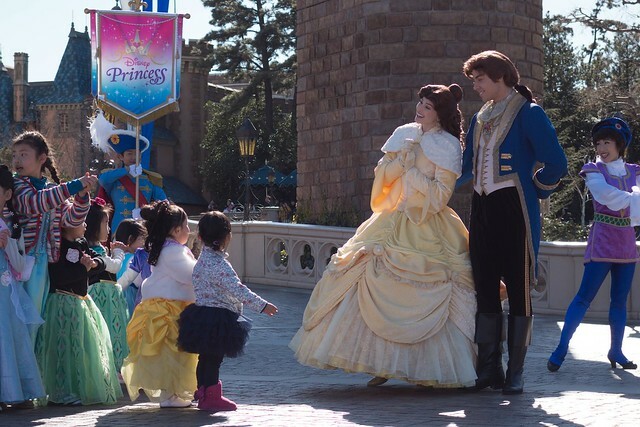 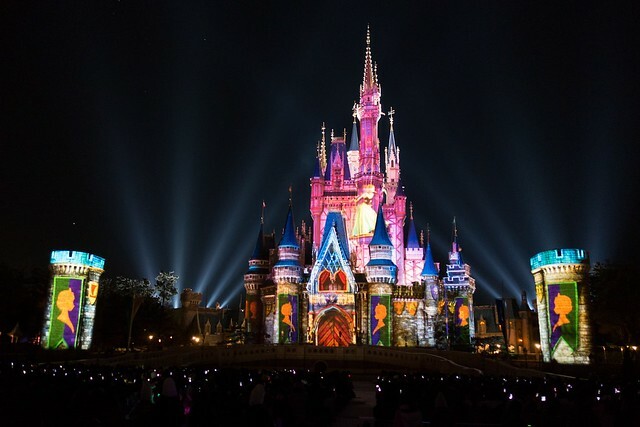 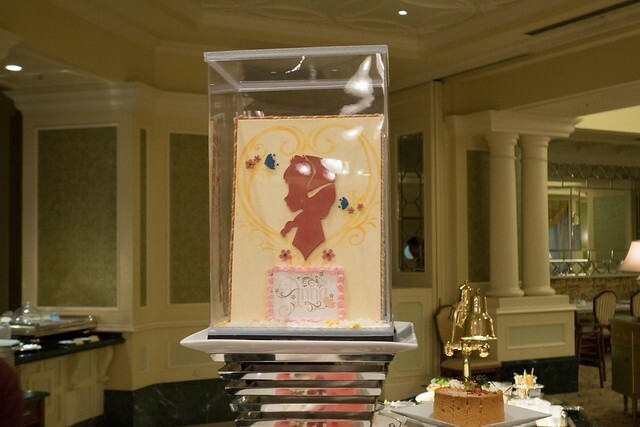 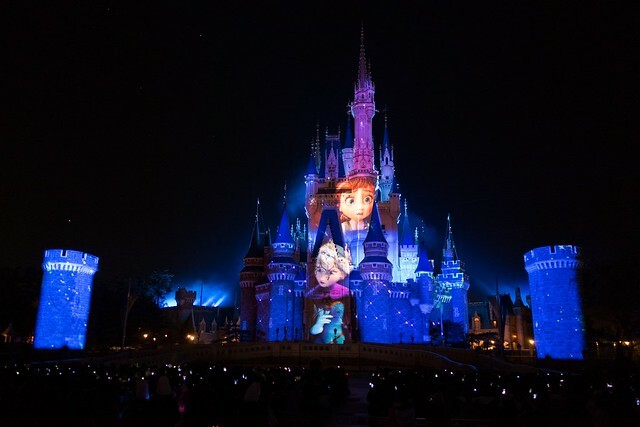 While “Frozen” fans in the United States may have gotten their fill at Walt Disney World at Disneyland in recent months, Tokyo Disneyland is just getting started as Japan welcomes Anna and Elsa to the park with a limited time special event. 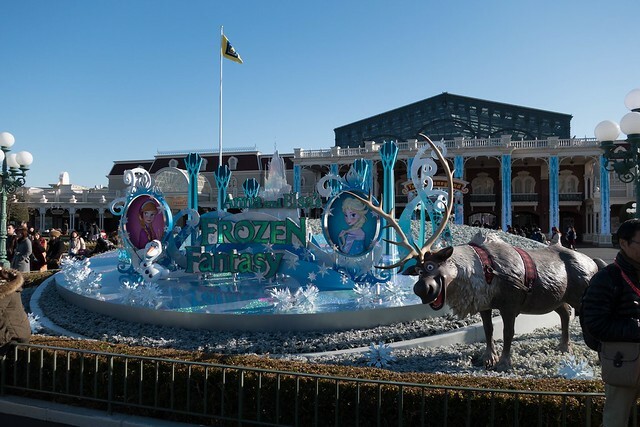 Beginning today, Anna and Elsa’s Frozen Fantasy adorns Tokyo Disneyland with icy decorations, themed menus, special merchandise, and added entertainment including “Frozen” characters joining the daily parade and nighttime Cinderella Castle show. 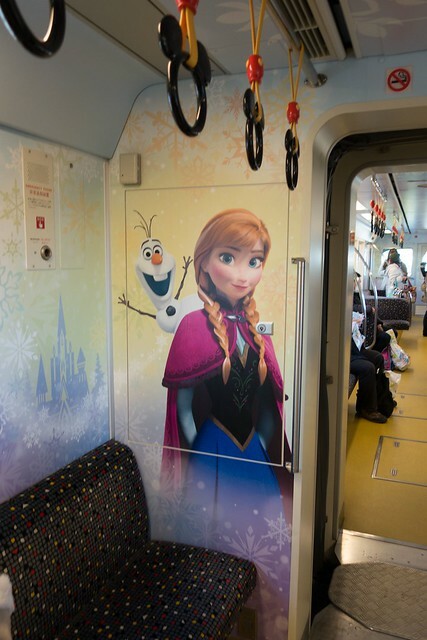 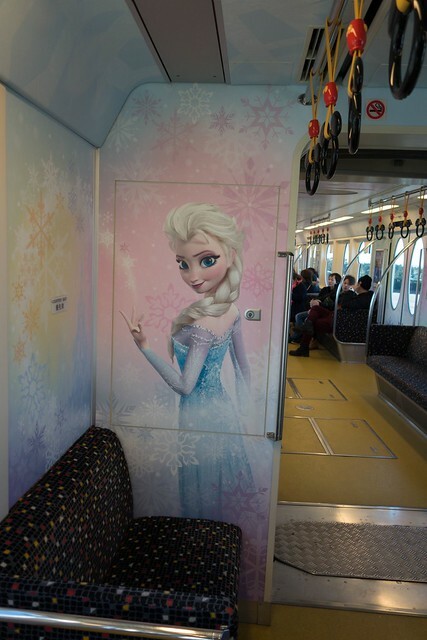 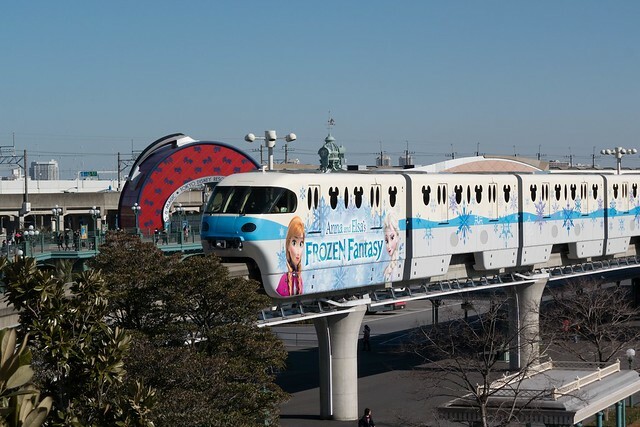 Miyata Takeshi of Japanese Disney fan site dpost.jp has shared with Inside the Magic photos of all the new additions to the Tokyo park, beginning with the monorail ride over, which features “Frozen” characters outside and within each cabin. 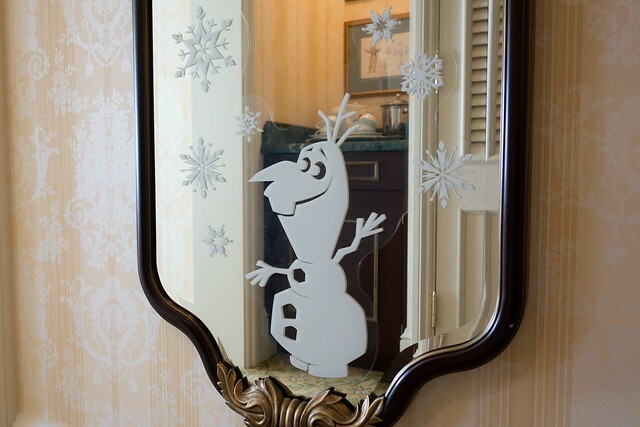 Upon arriving, there’s a can’t-miss sign out front featuring a life-sized Sven. 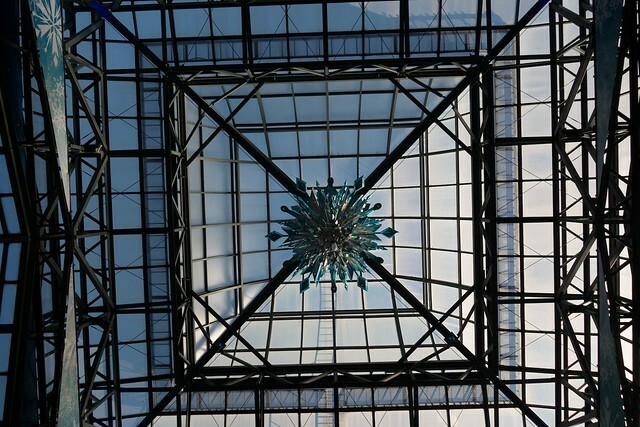 Just inside the park, frozen fractals hang high overhead. 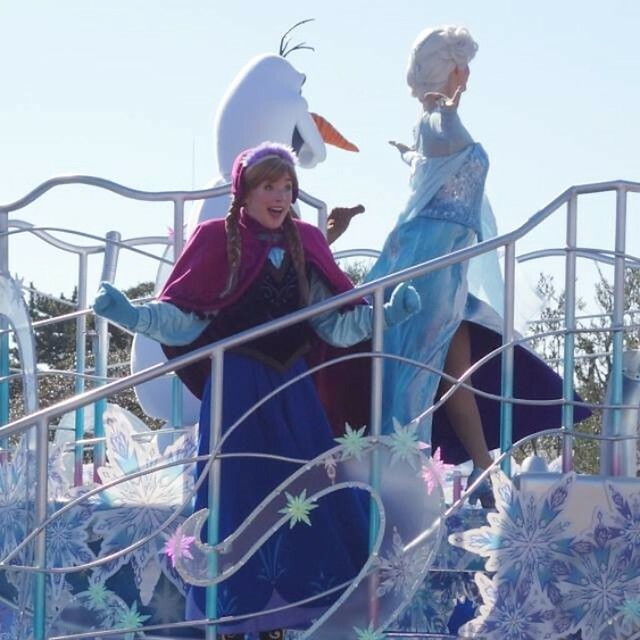 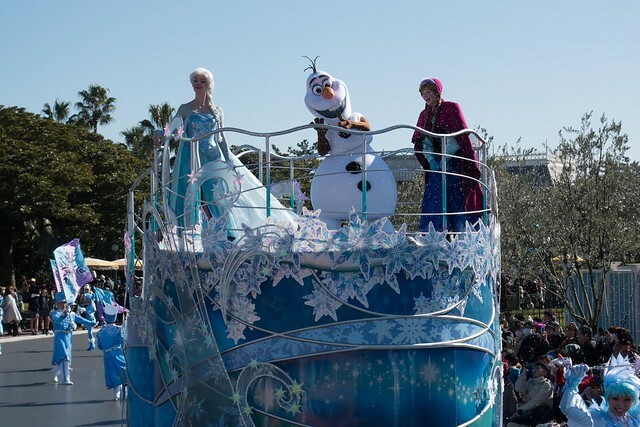 Guests can catch their first glimpses of Anna, Elsa, and Olaf as they appear in a pre-parade twice daily to the tune of “Let It Go,” accompanied by snow flurries. 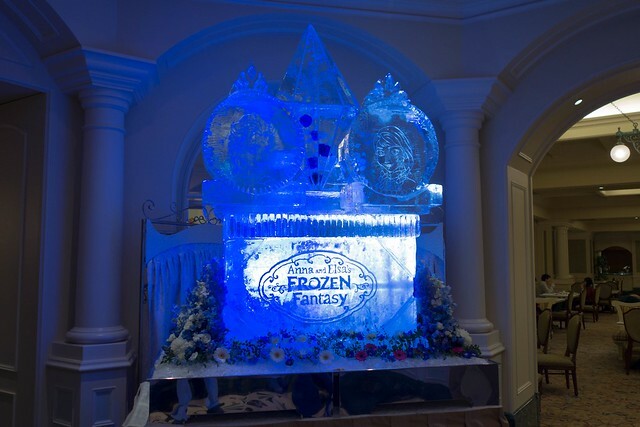 In attendance for the event’s debut were Japanese “Frozen” voice actors Takako Matsu (Elsa), Sayaka Kanda (Anna) Pierre Taki of Denki Groove (Olaf) and May.J (Japanese singer of the end credits version of Let it Go). 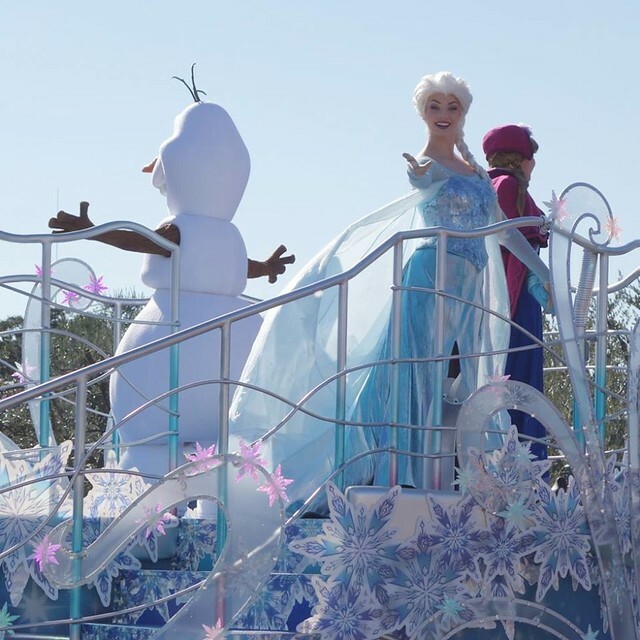 Other Disney royalty can also be seen at Cinderella Castle in their winter attire. 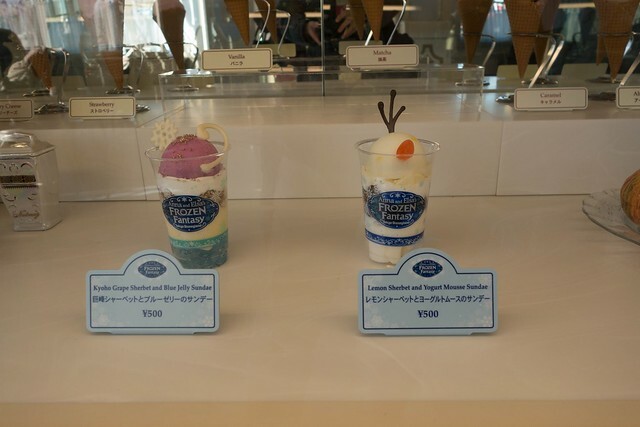 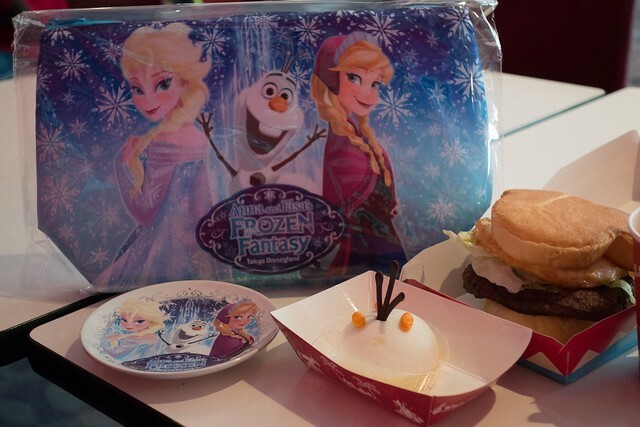 Frozen Fantasy treats include Kyoho Grape Sherbet and Blue Jelly Sundae inspired by the looks of Anna and Elsa as well as Lemon Sherbet and Yogurt Mousse Sundae inspired by Olaf. 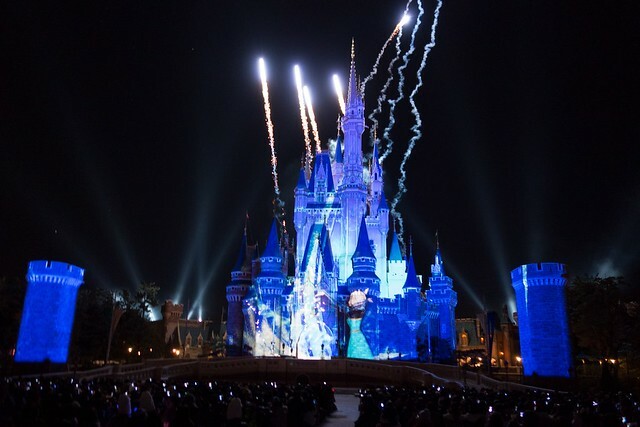 At night, the Once Upon a Time: Special Winter Edition adds new scenes based on “Frozen” to this popular show. 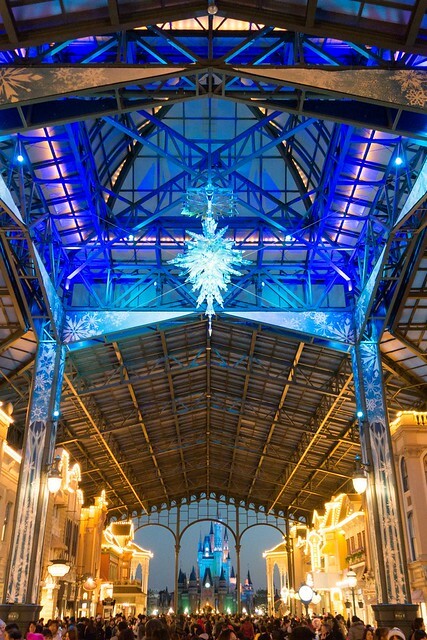 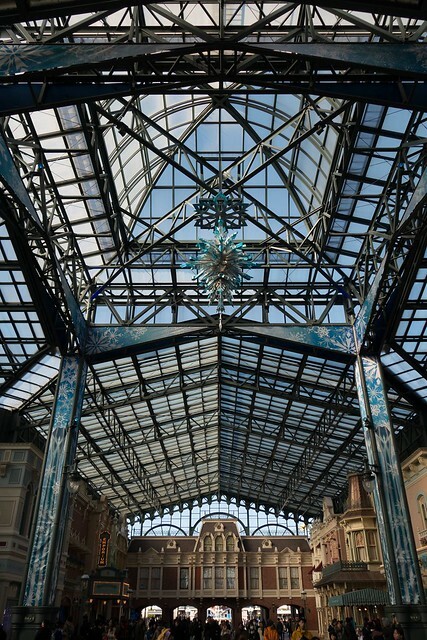 Also at night, the large ice crystal overhead near the park’s entrance really shines. 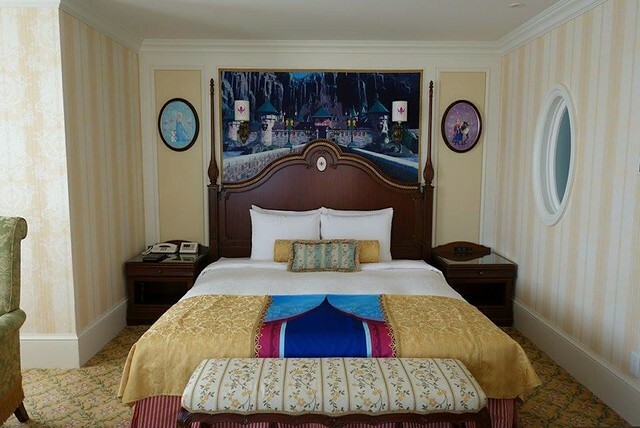 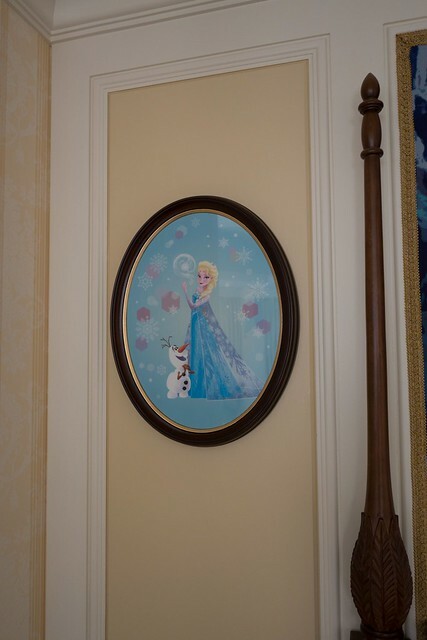 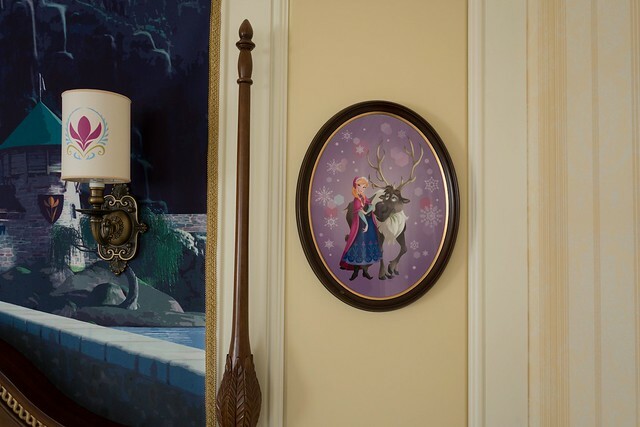 Back at Tokyo Disneyland Hotel, some rooms have received a “Frozen” makeover with landscapes of Arendelle and decorations featuring some of the film’s characters, even including bedding inspired by the sisters’ outfits. 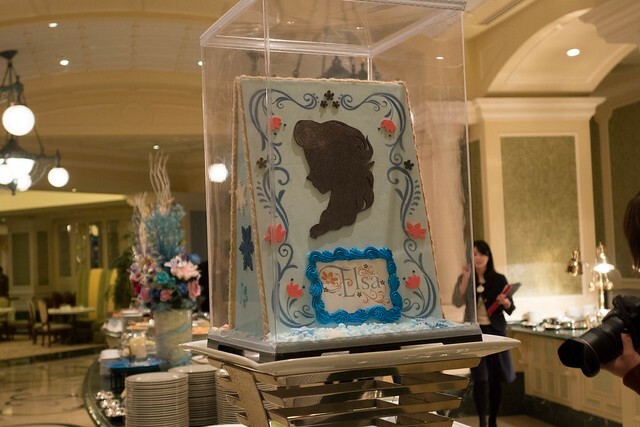 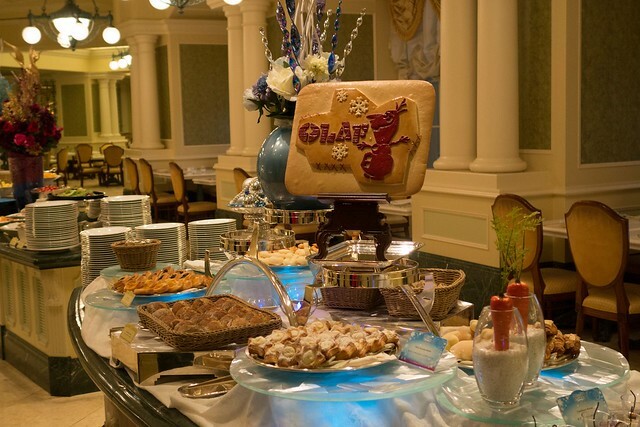 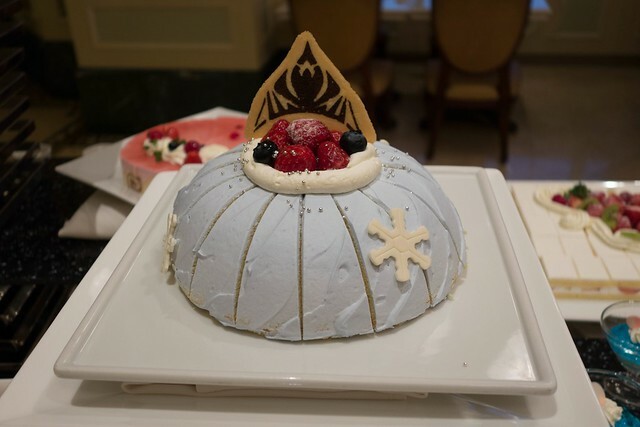 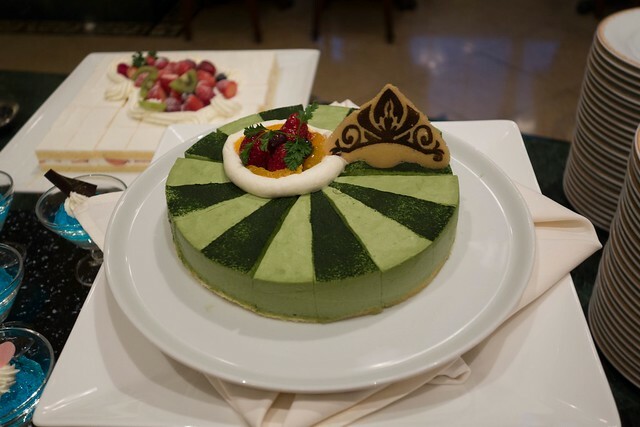 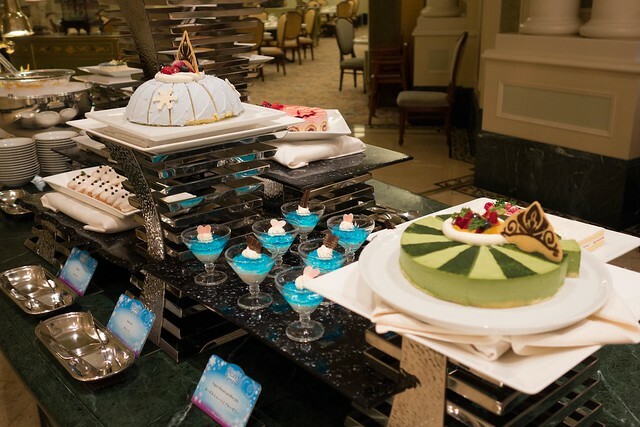 And at the hotel’s Sherwood Garden Restaurant, a “Frozen” themed buffet is served. 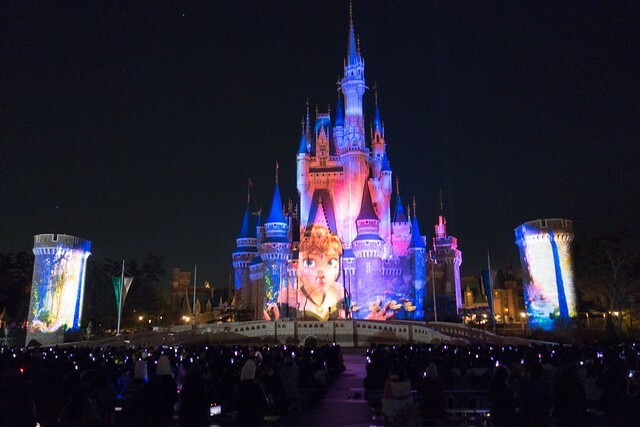 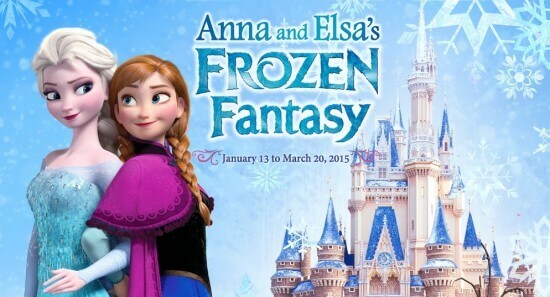 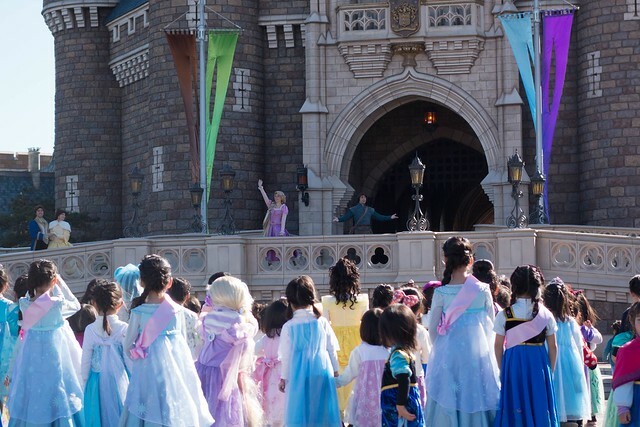 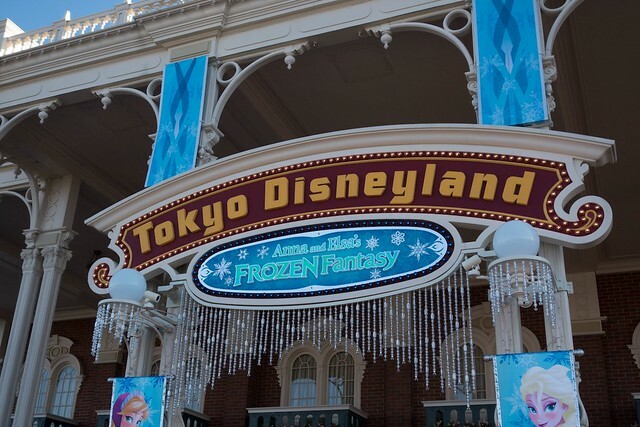 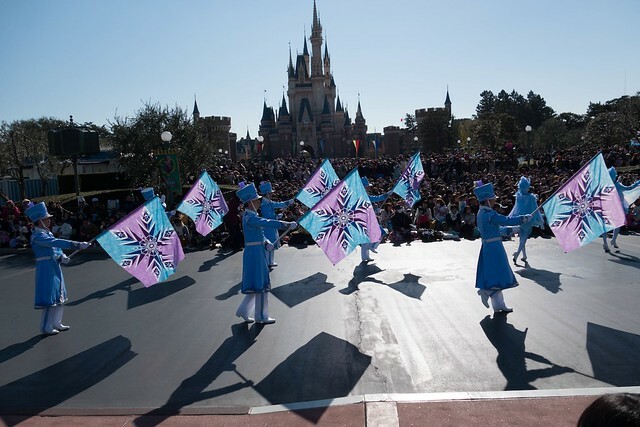 Anna and Elsa’ Frozen Fantasy continues at Tokyo Disneyland through March 20, 2015. 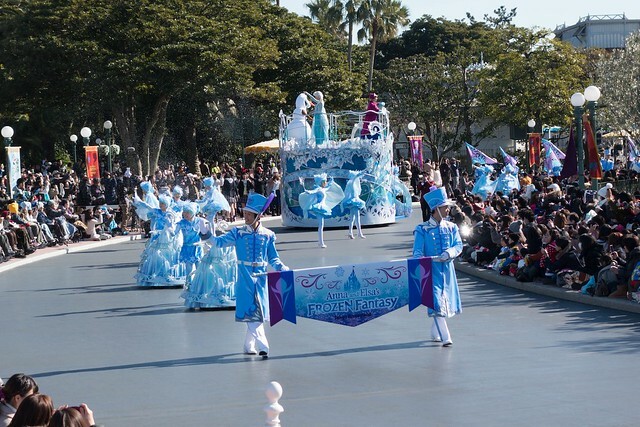 Be sure to visit dpost.jp for more from Frozen Fantasy!